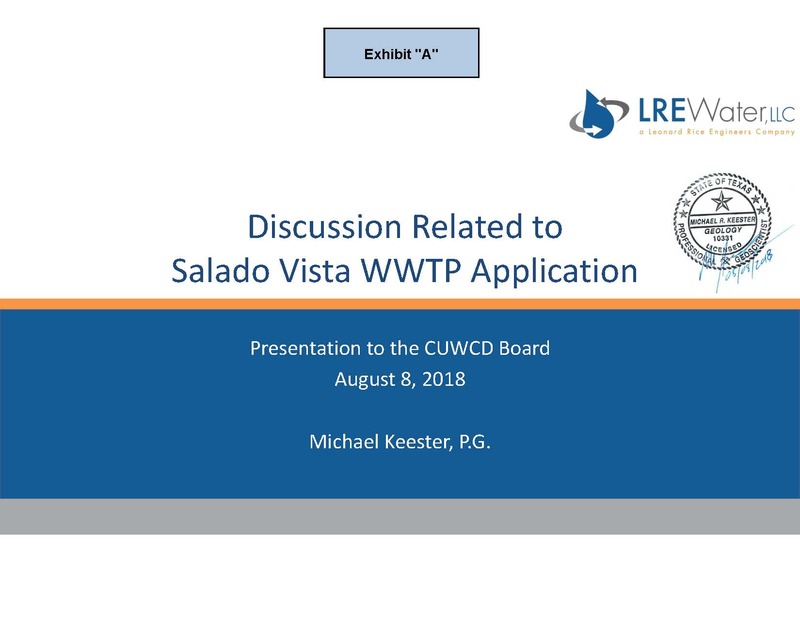 Aldermen will hear a presentation from Dirk Aaron with the Clearwater Underground Water Conservation District on Sept. 6 concerning a proposed 250,000 gallon per day wastewater treatment plant to be built south of Salado. The Village may join State Representative Scott Cosper in requesting a public hearing on the proposed treatment plant. It may also add its comments to those that have already been submitted regarding the discharge location for the plant. 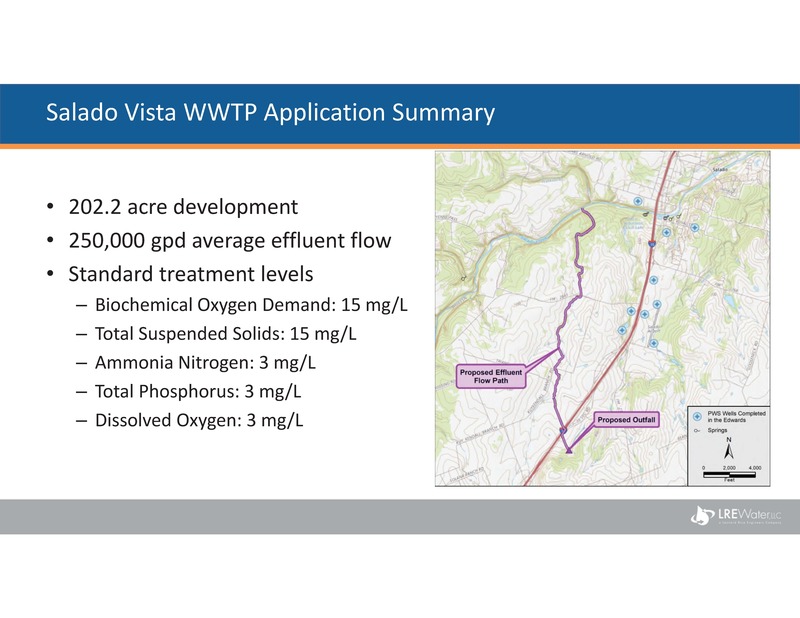 The treatment plant will serve a future Mixed Use Development on 220 acres of property south of Salado near the intersection of Hackberry Road and I-35. 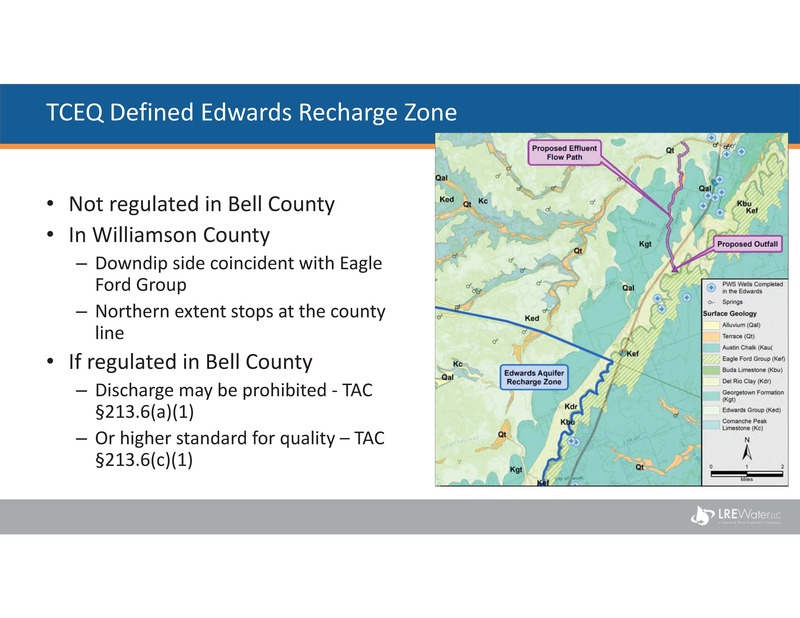 The proposed new Texas Pollutant Discharge Elimination System (TPDES) Permit No. WQ0015664001 is for a wastewater treament facility to be located 3,530 feet east and 2,330 feet north of the intersection of Hackberry Road and I-35. 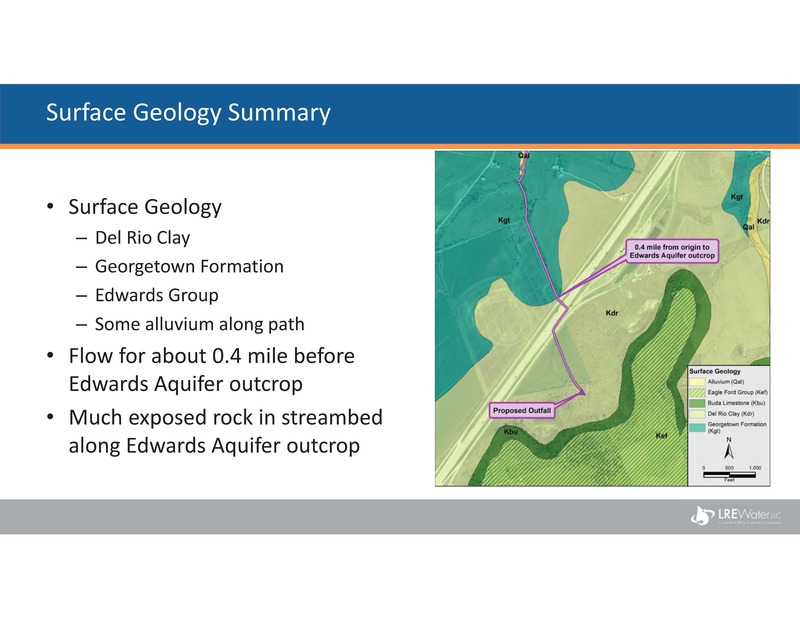 In addition to the request for a public hearing on the proposed TPDES permit, Clearwater Underground Water Conservation District and a hydrogeologist who has worked in the Northern Segment of the Edwards Balcones Fault Zone aquifer for more than 25 years have both provided comments to TCEQ expressing concern about the discharge location and its potential impact on the Salado Salamander and the water quality of Salado Creek. Joe Yelderman is a professor at Baylor University. He has been the lead hydrogeologist studying the Salado Creek on behalf of the Bell County Stakeholders Group, consisting of Bell County, Village of Salado, CUWCD and private land owners. The Stakeholders Group was formed when the Salado Salamander was proposed to be listed as Endangered. 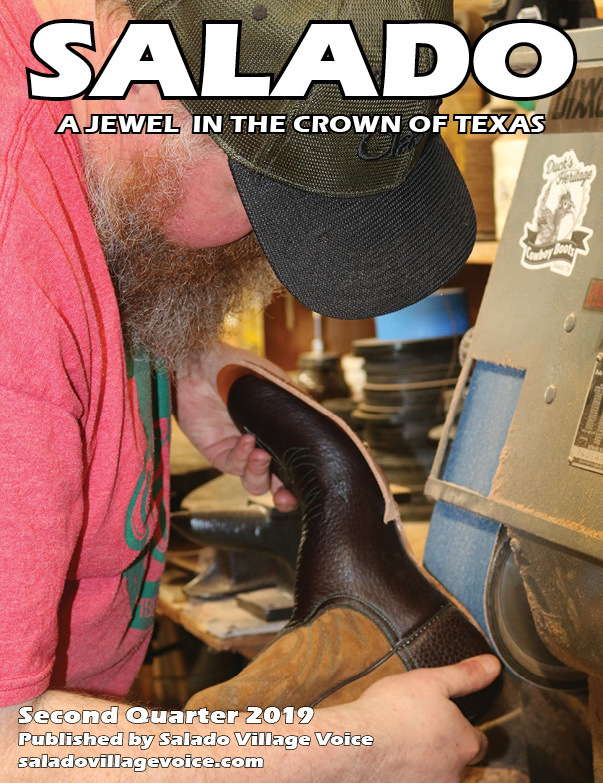 It has gathered “boots on the ground” information about the ecology of Salado Creek watershed and the health of the Salado Salamander population and was a critical reason that the Salado Salamander was not listed as Endangered and was identified as Threatened. Yelderman, in addition to his 25 years studying the waters of the Edwards Balcones Fault Zone aquifer that feeds Salado Creek, has served for 15 years as the director for the Baylor Wastewater Research Program. 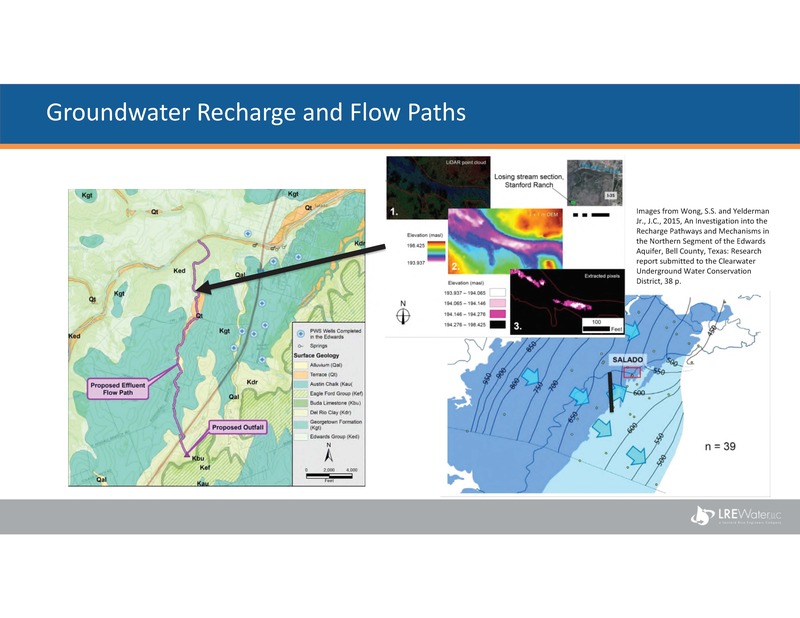 Citing several hydrologic studies of the surface water and groundwater in this area of the Edward aquifer, Yelderman describes how losing stream segments recharge the aquifer. 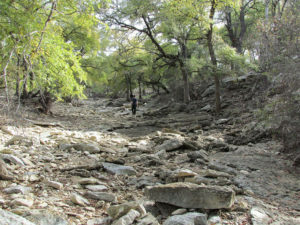 “The receiving tributary for the proposed permit is a losing stream that crosses the Balcones Fault Zone and contains features in the stream bed that recharge the Edwards Balcones Fault Zone aquifer upgradient from the public water supply for the Village of Salado and the spring complex,” Dr. Yelderman states, adding that dye studies indicate that groundwater flow velocities are approximately 1.5 miles per day. Any contamination entering the aquifer “move rapidly through the aquifer to public water supply wells and the springs,” he stated. Dirk Aaron, general manager of Clearwater UWCD, also expressed concern about the area of discharge for the proposed wastewater treatment plent.“The potential for effluent to easily enter the aquifer is especially concerning to the District given the documented local recharge pathways and underground flows (from west to east/northeast) that could allow the infiltrating effluent to be captured by no less than nine Public Water Supply (“PWS”) groundwater wells in the immediate area, many of which are within a mile from the proposed effluent flow path,” Aaron said in a letter to TCEQ that he provided to Salado Village Voice. “Higher-than-normal concentrations of phosphorus and ammonia nitrogen in particular will undoubtedly have an effect on the salamander population at the Spring Complex, and therefore the District has additional, science-based concerns over this permit application,” Aaron stated. “It may also be possible for the developer to work with an existing land owner to create a storage and land application system east of the proposed development,” Aaron stated. 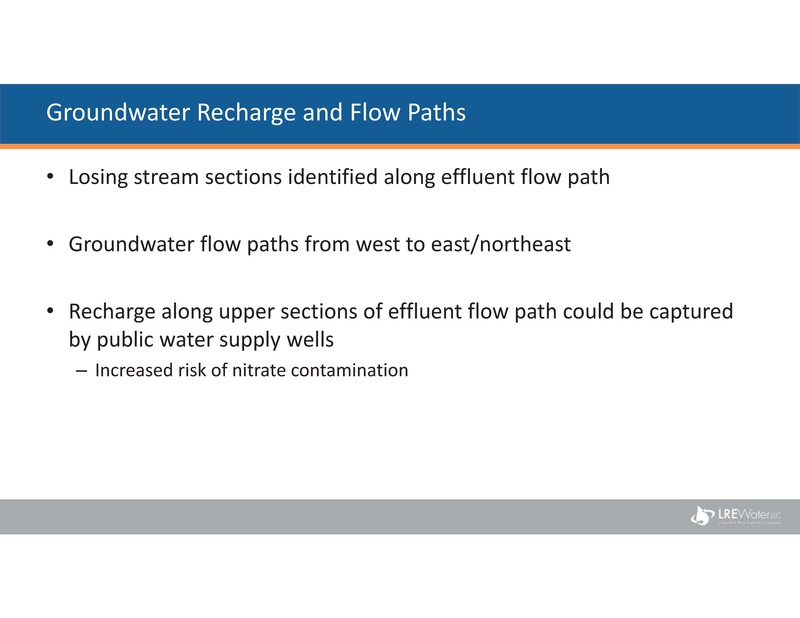 “The developer may also choose to treat the effluent to a higher water quality standard prior to discharge. 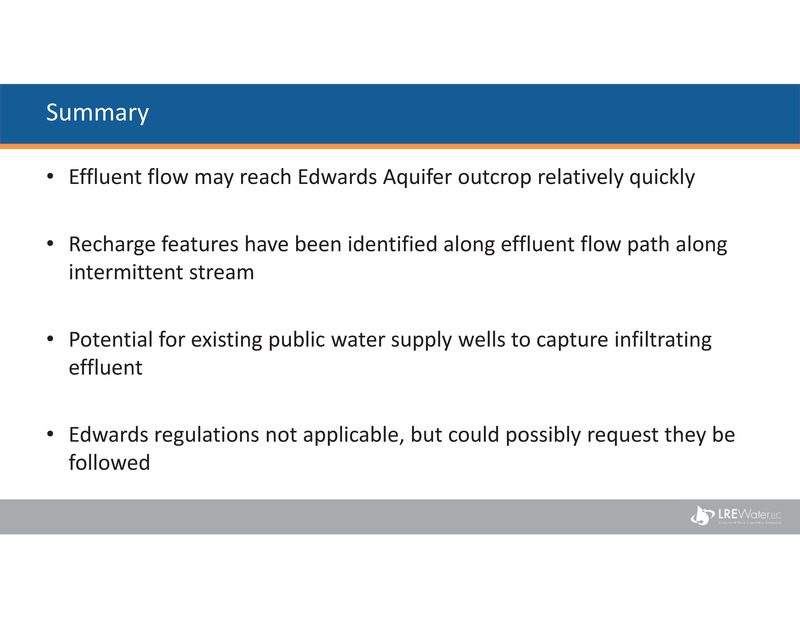 The higher effluent quality could be guided by the requirements for the Edwards in other parts of Texas,” Aaron states.